Check out our great Sacramento Experience newly created each month for our family, friends, and clients! We have scoured the events this month throughout the Greater Sacramento Area to bring you the best of Sacramento. Check out everything that is happening! 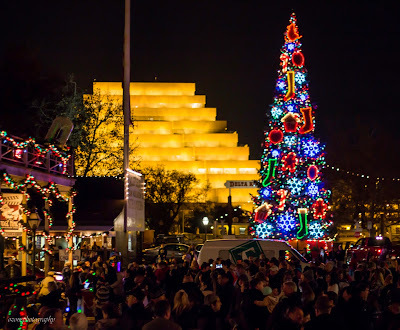 Standing center stage at Front Street and K Street in the Old Sacramento Waterfront district, the 60-foot tall Old Sacramento Waterfront District Holiday Tree will be lit for the first time on Wednesday evening at 6 PM. An exciting voyage through time with the Celts, a nomadic people of mythological stature. 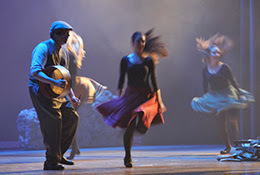 Acclaimed Riverdance principal dancer Caterina Coyne leads an incredible ensemble of dancers, singers and musicians in the new show Celtic Wings. The Placerville market continues each Saturday until November 10th. 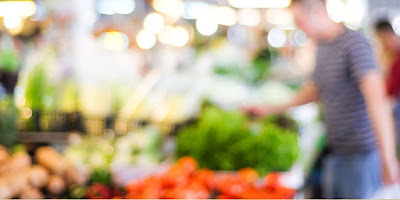 Fresh fruit and vegetables, fresh baked bread, nursery items, honey, eggs, flowers and so much more. Located at the Ivy House Parking lot in Placerville. Free to the public. 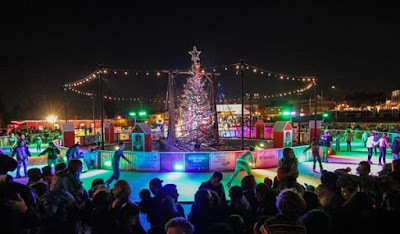 Ice skating begins on November 9th from 10 AM to 9:30 PM and includes all holidays! Unless it's raining, the ice rink will be open and ready for you! 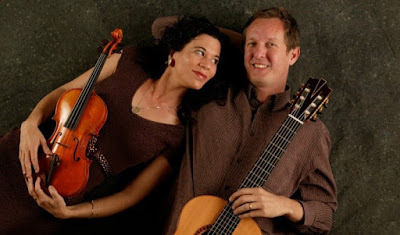 The Crocker is proud to again be a venue for the Festival of New American Music, which highlights contemporary classical music with innovative, avant-garde performances of works by living American composers. Kevin Hart announced he is expanding his widely successful and massively hysterical 'The Kevin Hart Irresponsible Tour,' adding over 100 new dates across the U.S., Canada, Europe, Australia and Asia. Produced by Live Nation, the tour kicked off in Baltimore, MD and will hit Northern California for a show on November 16 at Golden 1 Center in Sacramento. 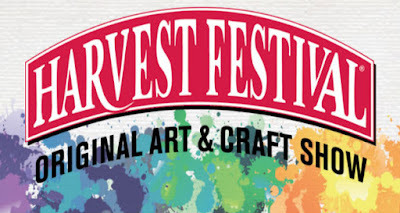 The annual Harvest Festival is returning to the Cal Expo Pavillion from November 16-18. Davey Wiser, his Overland Stagecoach, and his crew can be found on 3rd Saturday afternoons near the Bell Tower on historic Main Street between noon and 3 PM. 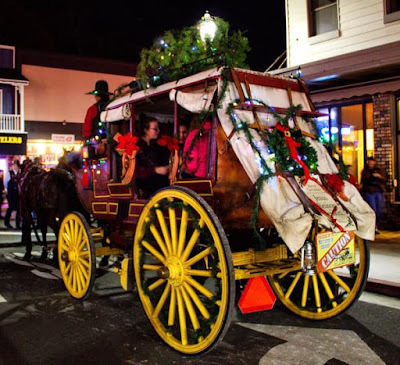 Davey has been giving free rides on Historic Main Street and at other locations in El Dorado County for over 20 years. What’s really going on in the Sacramento real estate market? Find out in today’s market update. We’ve heard that since the summer, the market has been slowing down and undergoing certain changes. Well, I’ve done some research, and I want to show you what’s actually happening. I recently pulled the homes listed in the $300,000 to $700,000 range for four different counties, looking at the year-over-year data for the period between July-September of 2017 and July-September of 2018. In that period, I saw that the number of homes for sale is up by 23.6%. The number of homes that sold year over year, though, has dropped 5.6%. If you listen to the pundits and doomsayers, the market numbers are changing and there are more homes sitting on the market. But now let’s look at those same trends over the last seven to eight years (consult with the chart displayed in the video above at the 1:05 mark): Comparing it to last year’s figures, the number of homes for sale is up 19% and the number of homes sold is down only 2%. We have a significantly higher number of homes on the market now than last year—about 30%, in fact. This is not affecting how fast homes are selling, and neither is it affecting home prices in a negative way; those prices are still growing. Overall, the homes that are selling are still selling fast. There are a lot of homes that aren’t selling on the market, and many more listings are expiring now than in the past. To calculate the months of inventory—the amount of time it would take for all current MLS listings to sell, given that no new listings come on the market—we divide the total number of homes for sale by the total number of homes that have actually sold. This is usually done on a monthly basis. This figure takes into account the 18% of homes that don’t sell. We do tend to see more expired listings when the market values increase than when the market goes down, and that’s normal. So overall, the homes that are selling are still selling fast. The homes that are not selling are skewing our inventory numbers. Everyone is focused on the increasing inventory, but I think that we need to be focusing less on how many extra homes are on the market and more on what they’re selling for and how quickly they’re selling. If you have any further questions about this topic, go ahead and reach out to me by phone or email. I look forward to hearing from you. 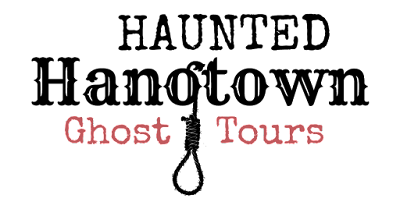 The Haunted Hangtown Ghost Hunt is not your typical ghost tour. You’ll join our team as we walk the streets of Placerville, “Old Hangtown”, carrying and utilizing some of the latest paranormal equipment to hunt down the spirits that walk the streets of this historic, mining town. October is Breast Cancer Awareness Month and pink lights help promote the work of Images of Hope and Marshall Medical Center in the fight against this disease. All the pink lights are provided by Images of Hope. Images of Hope will hold a fundraiser on October 20th during the Art and Wine Festival. 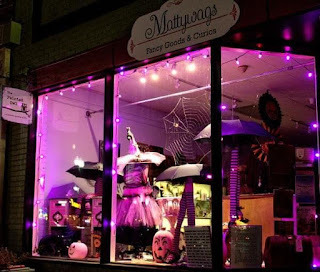 It will be at Flowers on Main, 318 Main Street from 6-9 PM. Join an in-depth examination of Deborah Turbeville, 1976, by Duane Michals. 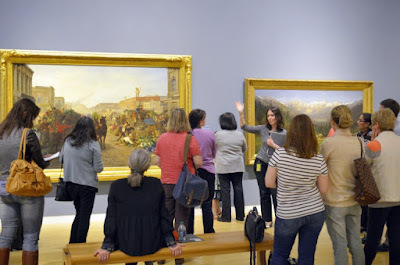 Before or after the 30-minute gallery conversation, take time to enjoy lunch at the Crocker Cafe by Supper Club. Come for a fascinating trip to the Ukraine, one like no other. Created in 2004 by the avant-garde theatre director Vladyslav Troitskyi, three women and a man utilize world rhythms and a range of traditional instrumentation that is Indian, Arabic, African, Russian and Australian in origin. The bright, unique and unforgettable sound of DakhaBrakha (the name that means “give/take” in the old Ukrainian language) rests on the quartet’s astonishingly powerful vocal range, while their roots in theater are never far away— their shows are always staged with a strong visual element. Named the “Best Breakout” band at Bonnaroo by Rolling Stone. 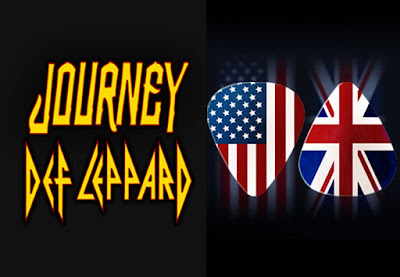 Promising to be the Tour of the Year, two of the world’s greatest rock bands – Def Leppard and Journey – are teaming up for a massive co-headlining North American tour composed of both stadium and arena concerts, half the shows being closed by Journey and half by Def Leppard. Aloha and welcome our very own Sacramento Aloha Festival. Coming up on 8 years, the Ka’onohi Foundation is proud to present a fun family day in the Sacramento sun with free admission. So, if you are interested in anything related to the Polynesian cultures, take a look at what Saturday, October 6th brings you. The 6th Annual Paws to Party will take place Friday, October 12, 6-9 PM at the California Automobile Museum. Join us for a celebration to benefit the animals of Front Street—highlights include regional restaurants, breweries, wineries, distilleries, element based brass band Shawn Thwaites Rebel Quartet (STRQ), DJ Chango, and more! 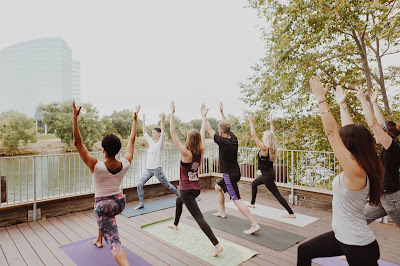 Old Sacramento and The Yoga Seed Collective present a free yoga series on the waterfront. Waterfront Yoga welcomes all ages and skill levels. Come get your zen on right by the water under the canopy shade! This year’s Wine and Art Fest is taking it up a notch with more on-street art offerings and live music. Explore local unique small businesses and art galleries where wineries will be pouring samples. Merchants will be offering food pairings designed to highlight the wines they serve and our local restaurants will be available for dinners as well. 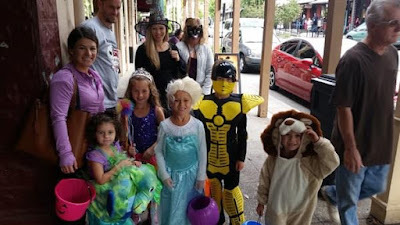 Bring the littles to Historic Folsom for some good old fashioned Trick or Treating! Fun and treats up and down the district! Why Work With The Hoyt Group? Going far beyond the standard level of service provided by most agents, we work continuously to improve. With fanatical integrity, we focus on improving ourselves, our systems and our processes. Simply put, we are here to get you the most money in the least time, and with the fewest hassles. We want to provide the best service in the industry. Period. Our goal is to provide a level of service that makes it very easy for you to refer your friends and family to us! And we have fun doing it!